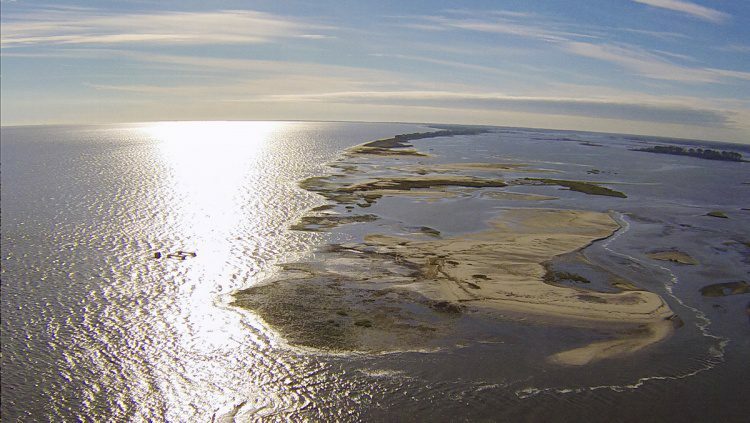 Through design and restoration work on Prime Hook National Wildlife Refuge in Delaware, Atkins helped the project secure an Environmental Excellence Award from the World Organization of Dredging Associations (WODA). Prime Hook received the Silver Award in the Environmental Dredging category during WODA’s recent international conference in Florida. WODA recognizes outstanding projects that promote an understanding of environmental issues, encourage innovative solutions for dredging and placement of dredged materials, and focus on efficiency in meeting environmental goals. Prime Hook was one of only four projects honored with an Environmental Excellence Award. “This award gives Prime Hook recognition from a worldwide organization and spotlights our design approach as a solution for habitat restoration and flood-proofing along coastal developments altered by human influence, erosion and rising sea levels,” explained Mark Stroik, Atkins’ project director. Located along the western shore of Delaware Bay, Prime Hook and its adjacent water bodies are home to a variety of aquatic species and a stopover for migratory birds. Damage from storms and potential effects from climate change and sea level rise led to the U.S. Fish & Wildlife Service’s request to revert the freshwater habitat back to its original state as a salt and brackish marsh. In developing next steps to revert Prime Hook back to a salt and brackish habitat, Atkins conceived a design that incorporated existing and new features to balance theory and constructability. A hydrodynamic and numerical model was generated for the refuge and the adjacent bay region using Delft3D modeling software, which simulated the effects of tides, wind, waves and the mixing of fresh and salt water. Because of the success at Prime Hook, Atkins is using the design as a model for effective management of coastal erosion from sea level rise, applicable to other coastline areas. Prime Hook required close collaboration among a team of project partners that included state and federal government and private firms. Services performed included coastal engineering, environmental assessment and planning, grading and stormwater design, and sustainability action planning. WODA is a nonprofit professional organization composed of three autonomous dredging associations—Western Dredging Association, Americas; Central Dredging Association, Europe, Africa and the Middle East; and Eastern Dredging Association, Asia and Pacific region.